Charles Spurgeon has been called the "Prince of Preachers." He preached to over 10 million people in his lifetime, and his written sermons have impacted millions more since 1866. The CSB Spurgeon Study Bible features thousands of excerpts from Spurgeon's sermons, chosen and edited by Alistair Begg in order to bring the richness of the Prince of Preachers' insights into your daily study of God's Word. Features include: Introductory Biography of Charles Spurgeon, Study notes crafted from Spurgeon sermons, Extracted sermon illustrations placed on the same page as the associated biblical text, Sermon notes and outlines in Spurgeon's own handwriting, "Spurgeon Quotables" inserted throughout the Bible, Book introductions with book overviews in Spurgeon's own words, Topical subheadings, Two-column text, Concordance, Smyth-sewn binding, Presentation Section, Full-color maps, and more. CSB Spurgeon Study Bible, Brown/Tan Cloth Over Board by Begg, Alistair was published by Holman Bible Publishers in October 2017 and is our 23447th best seller. 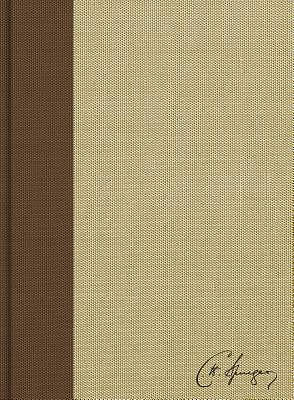 The ISBN for CSB Spurgeon Study Bible, Brown/Tan Cloth Over Board is 9781586409715. 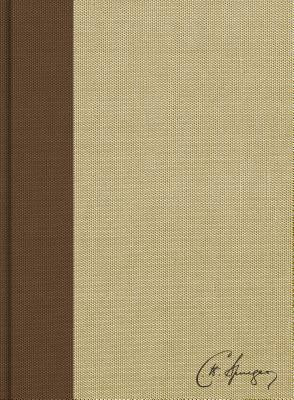 Be the first to review CSB Spurgeon Study Bible, Brown/Tan Cloth Over Board! Got a question? No problem! Just click here to ask us about CSB Spurgeon Study Bible, Brown/Tan Cloth Over Board.